Young people skip school and brave the rain to protest for a rethink on climate change. Despite the adverse weather, in Hebden Bridge town square this morning you could find dozens of school children waving banners, banging drums and addressing the crowd through a megaphone in a bid to get the attention of government officials. YouthStrike4Climate is a global movement that began in Sweden last August by 16-year-old Greta Thunberg, who sat outside the Swedish Parliament building rather than attending school. 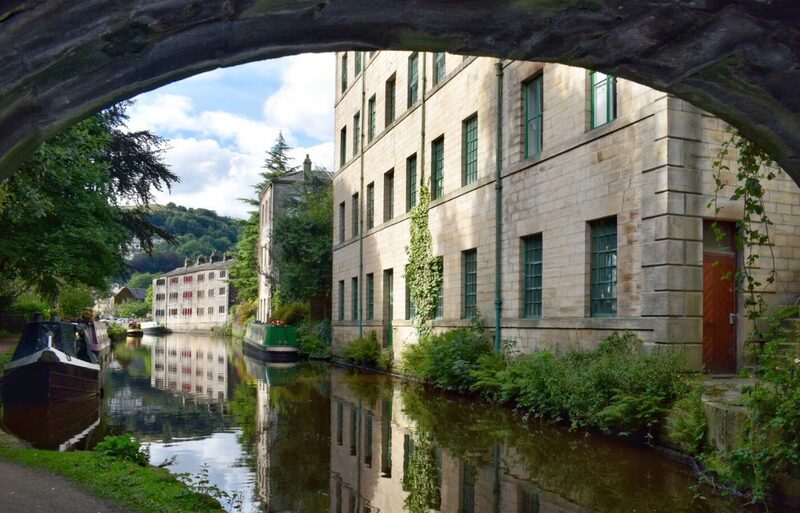 Now students across the world are following suit, and the latest gathering was right here in Hebden Bridge. With the weather eventually forcing the group inside, they took refuge at The Birchcliffe Centre where the young people continued to discuss the issues surrounding climate change and what they could do to help the cause. Samantha Whiteside, a proud parent of two young activists, said: “I think what the children are doing is amazing and I fully support them. It would seem that today’s demonstrations delivered some success. Speaking to the young people, Mr Dunbar relayed a message of “solidarity and support” from Labour leader, Jeremy Corbyn. Mr Corbyn said: “Climate change is a threat that we all face but it is you, the school kids of today, whose futures are most on the line. Last year the IPCC said that we have just 12 years to limit the detrimental affects of climate change. With that in mind, Calderdale Council are seeking to make a difference at a local level. They have declared a climate emergency and are attempting to implement policies that can reduce their carbon impact.